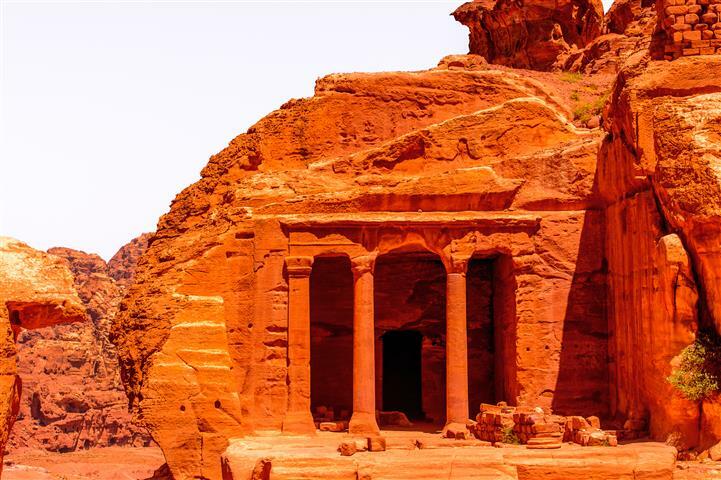 Petra the amazing site that was left by the Nabateans. 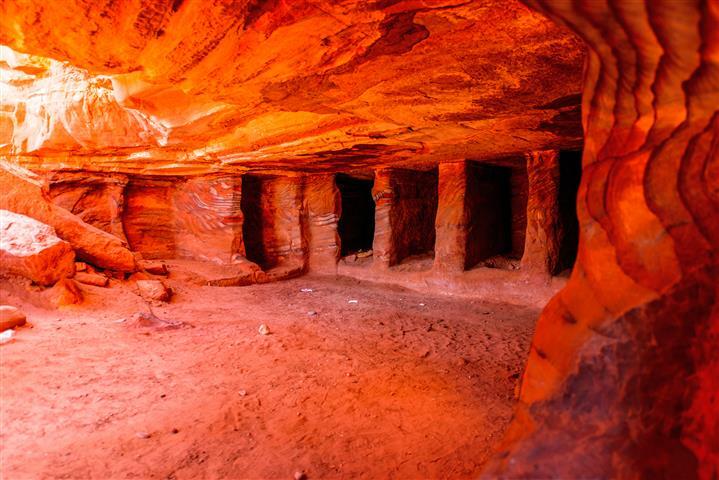 As you walk through the crack in the mountain called the siq, you will get your first look at the Treasury. 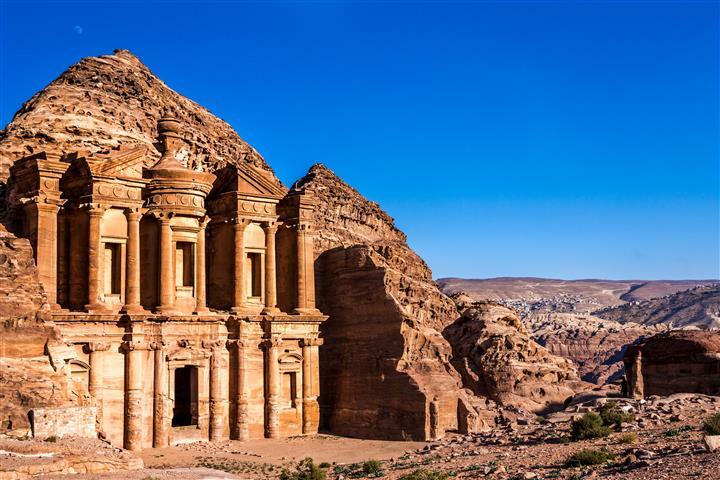 The Hassan Prince Palace you will be able to see a great view of the Petra mountains. 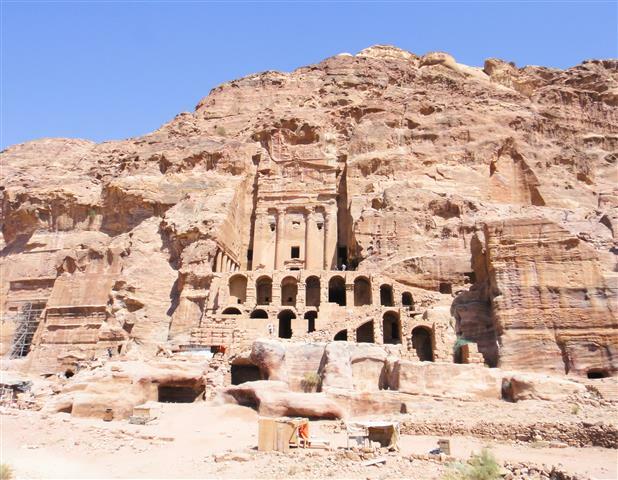 There are hundreds of tombs, most were robbed of their treasures, because of their dilapidated condition. 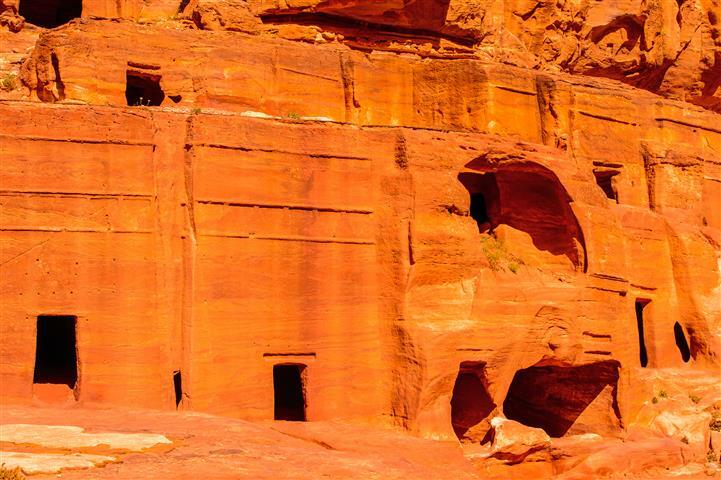 The front of the tombs are carved into the mountain with motifs that came from the time when the Roman ruled here. 08:30 AM- Transfer from border to Petra. Transport time approximately 2.3 hours,passing through a vast and comfortable high way ("desert way"),following through a scenic route on the mountain side, and arriving at Petra's historical site. 11:00 AM- Tour of Petra begins at the entrance to the site. Included in your package is an optional horse-back ride for the first 700 meters of the route (tipping the carrier is required, ranging from 2-5 dollars at your discretion). Flight from Eilat Airport to Sde-Dov Airport Tel Aviv. Single Traveler Supplement: $60 per night. High Season Supplement: $70 p/p per night. (Jewish holiday).